Thank you for stopping by, and we welcome you to our new and improved website! We have designed it to be simple to use, while at the same time delivering the level of quality you can expect with each and every one of our signature creations. We hope you love it as much as we do. 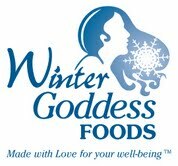 At Winter Goddess Foods, we are proud to inform you that all of our products are 100% Natural, and are comprised of Organic/Fair Trade ingredients. We eschew the use of fillers, binders, emulsifiers, extenders, preservatives or artificial ingredients of any kind, including high fructose corn syrup. Our desire in so doing is to show honor and respect for the earth and her people who inhabit it. We strive for quality and integrity in all we do. We also strive to be environmentally friendly in every step of our production process. You can be sure that we only use the best healthy ingredients in everything we make and sell. After all, we eat and drink them too! Winter Goddess Foods is dedicated to working and living in the world with honor and deliberation. We are true to what is fair and right without compromise, for our desire is to make your world larger, by offering you lovingly crafted, affordable healthy alternatives that taste great. In order to serve you in the best way possible, we encourage your feedback. Perhaps you've sampled our products at a friend's home, or met us at the Minneapolis Home and Garden Show, or purchased them at a specialty store or Co-op in the Twin Cities area or even online. If so, by all means please use the contact section to let us know your thoughts or comments. 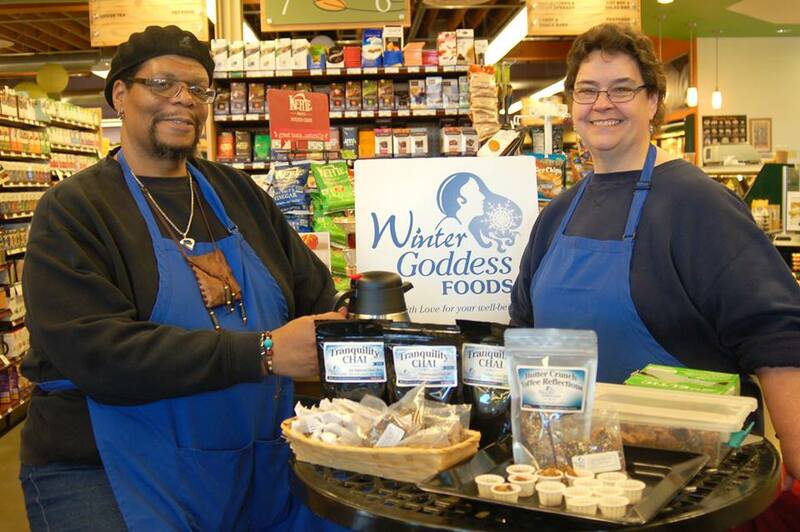 Winter Goddess Foods is honored to have the opportunity to serve you. Thank you, and may you make every day be your best day!